On Sunday May 20th 2018 the Lads Club Terriers U15 team played Ross-On-Wye in the final of the Stuart Sheehan Cup. In sweltering conditions both teams produced terrific football but Lads Club eventually came out 3-0 winners. This was the second year in a row that the team has won a cup and since Christmas the team has been unbeaten in all competitions. Managers Steve Nicholas and Mike Shaw said ’We are very proud of all the lads. 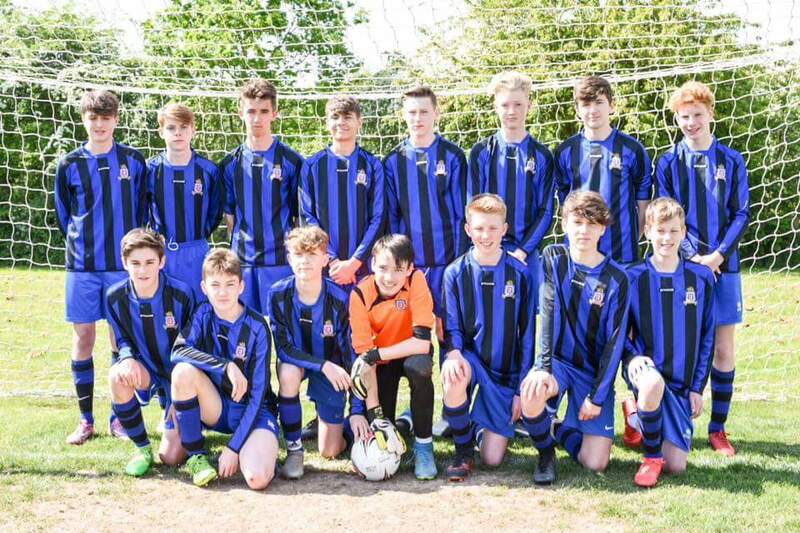 They have been playing some great football and we are all now looking forward to moving up to the U17 league next season’ .